What is the secret of making cheese without dairy that stretches and melts? Is there a cheese addiction? What’s the past, present, and future of vegan cheese? 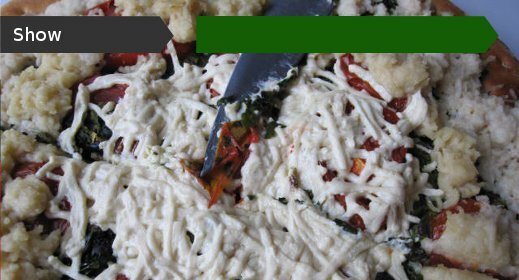 And if you brought together the leading vegan cheeses from Europe and the Americas – like Redwoods Cheezly, Vegusto, and Daiya – that aren’t meant to be available in the same country, let alone the same pizza – who would win? Spoiler warning: the results of the taste test are below the fold.